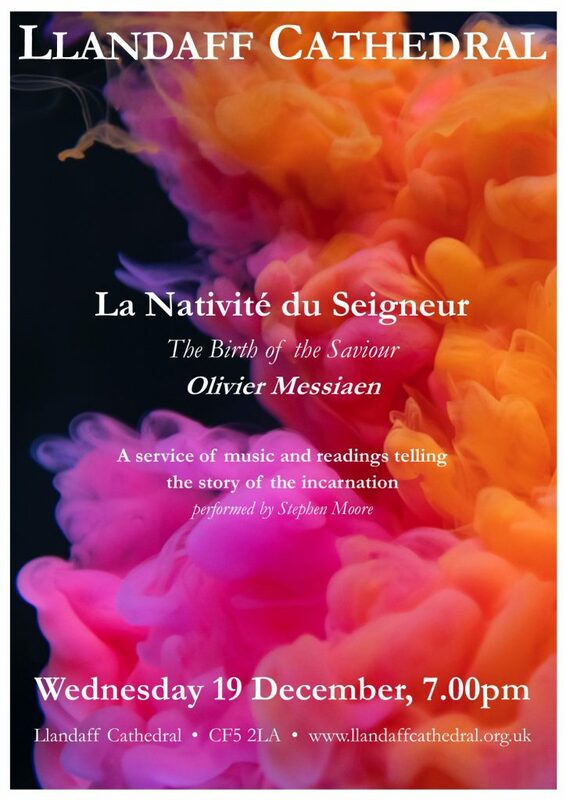 On Wednesday 19 December at 6.30pm, the Cathedral presents Olivier Messiaen’s ‘La Nativité du Seigneur’ (The Birth of the Saviour), arguably one of the most important organ works of the twentieth century. Its devotional nature is remarkably direct, for Messiaen possessed a deep-rooted faith and theological insight which gave a strongly spiritual dimension to all his work. The music will be interspersed with biblical readings, making it a special opportunity to experience the Christmas story in an atmospheric setting through words and wonderful music. The organ will be played by the Cathedral’s Director of Music, Stephen Moore, and the recital is free to attend.